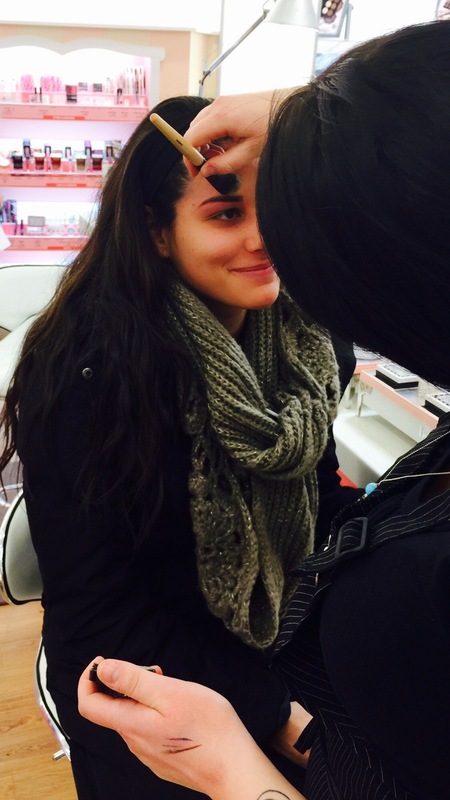 In case you didn't get the memo, good looking brows are more important than ever these days. Not to mention the fact that your eyebrows frame your entire face and if shaped & filled in correctly, they can make you look even prettier and possibly more youthful as well (Or so I hear. Wink.). If done incorrectly? It's disastrous. Oh yeah, you get extra points if yours are thicker and fuller too. Sure this all seems pretty straightforward. But it's a problem if - like me - you've plucked and basically over tweezed your brows for ages and are now not really sure if they're mapped correctly or what. **Sigh** I used to have extremely thick brows. Cara Delevigne-esque if you will. That's where I started from. Ok, now at this point, Nicole swears me to secrecy (aka, I better not posting anything on FB or Instagram about this!) until we can get ourselves there and of course, later, blog about the whole thing. *Btw, Benefit offers multiple options product wise for filling in and setting your eyebrows, including their Brow Zings kit and Gimme Some Brow gel. 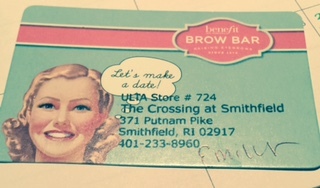 With our brows done, we were free to browse the unbelievably extensive selection of Benefit cosmetics. So many choices! Nicole is a huge fan of the line and I do love their concealers. We left with Erase Paste, one for each of us (Tip: You can NEVER have enough under eye concealer options in your makeup bag, especially when you're up past midnight blogging "like" all the time. 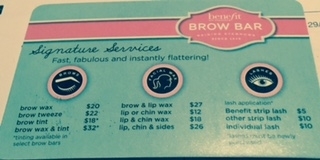 ), Benefit samples (I heart samples!) and Emily's card in our shopping bag. All in all, a productive afternoon.